able to define, your ideal customer! 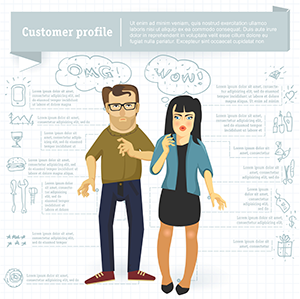 Your ideal customer avatar is the foundation of all marketing efforts. It’s with this we’re able to create a brand they like. We’re able to write emails and web pages that sound like letters personally written to THEM. All marketing efforts land on having these people defined so clearly you can name them and spot them in a crowd. Don’t drill that oil well, until you investigate! Surgeons perform X-rays before cutting tissue, and investors do their due diligence before investing. As businesses we all need to conduct some kind of analysis on who’s clicking, buying and using what we’re building.